FHA loans can be a good choice for borrowers that want to buy a home with very little down payment, 3.5% of the purchase price. FHA laons are also well suited for borrowers who have less than perfect credit. Most traditional financing requires that a borrower have a 620 or better decision credit score when mortgage insurance is required (less than 20% down payment). Private mortgage insurance (PMI) companies provide this insurance and 620 is their minimum score requirement. FHA allows borrowers to have credit scores as low as 500 although most lenders have overlays and do not accept applications from borrowers with less than a 620 score. Most lenders that do loans below a 580 score require a larger down payment and charge a higher interest rate or points. FHA can do loans with “non-traditional” credit, meaning they can look at the payment history of bills you pay that do not appear on your credit report –utility bills, cable bills and cell phone bills. They are most interested in how you have paid your obligations during the most recent two years and particularly the past 12 months. In most cases, old collections or charge-offs do not need to be paid if they will not affect the title. 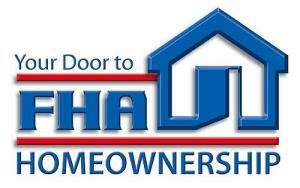 With an FHA loan there is a 1.75% upfront funding fee that can be rolled into the loan amount. There is also a monthly mortgage insurance fee which is 0.85% of the loan balance annually, but is paid in monthly installments. Unlike MI on conforming loans from Fannie Mae or Freddie Mac, this MI does not stop after your loan balance reaches 78% of the original purchase price. It continues for the life of the loan. FHA loans, like VA, are assumable, meaning that when you sell your home the new buyer may assume the remaining balance at the same interest rate with much lower closing costs. Depending on where interest rates are in the future, this can be very valuable option to the new buyer. If the rate is significantly lower, it will represent a selling advantage to you. 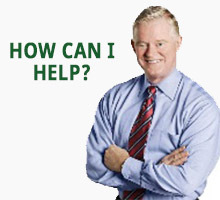 All FHA loans can have fixed or adjustable rates and borrowers may choose a loan term that best suits their needs. Call First Nations today to learn if an FHA loan is your best option.